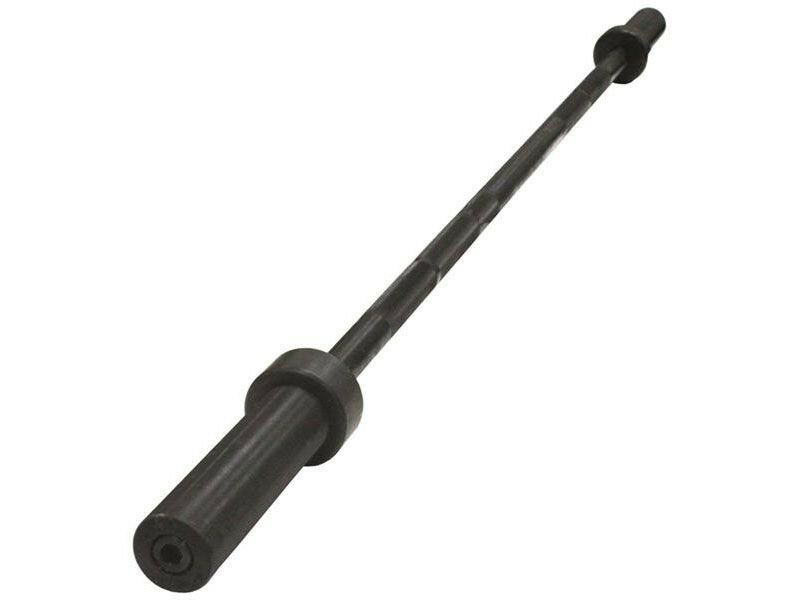 This 5ft black powder coated short olympic bar is an alternative to traditional 7ft barbells, for users who are limited on space or want a lighter weight 29 lb barbell. It's only 39" between the shoulders, so it will not fit on a power rack. The 28.5mm diameter is the same as many high quality olympic bars used for doing olympic lifts or powerlifting lifts, making it a good training bar for someone just starting out, or for many women, or for anyone just using it for lighter weight exercises like curls and tricep extensions. Inexpensive bars like this usually come in a thicker diameter, so this is a unique one for sure. And the sleeves are fit snug on the shaft and rotate just fine. It is NOT made for dropping with bumpers. It has those conspicuous hex bolts on the ends that are prone to bending or breaking from shock loads from being dropped, or loosening over time from normal use. And the strength of the steel isn't up to par for being dropped or doing really heavy lifts, but the sleeve length limits what you can fit on it to 200 lbs or so, depending on the plates used. However, because it's shorter there's less torque on this 5 ft bar than a 7 ft bar would have when loaded, so it would take a little more weight safely than a 7 ft bar of the same strength would.